Great Leap Brewing is teaming up with The Orchid to celebrate Chinese New Year’s Eve right. They’ve designed a menu featuring GLB brews and bites from the boutique hotel’s fresh dining concepts – Furongji and Toast. Indulge in vegetarian curry fried samosas, chicken bao, shrimp spring rolls and hummus with pita, all while washing it down with fan-favorite GLB classics like Honey Ma Gold and new releases like their Little General IPA. 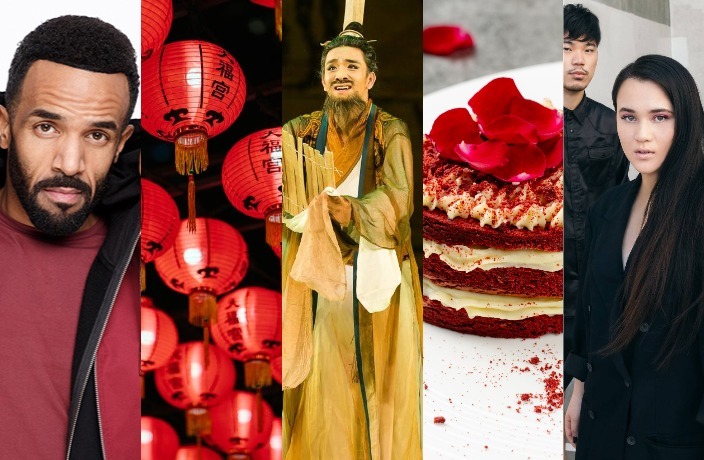 See our complete guide on where to celebrate Spring Festival in Beijing. Mon Feb 4, 8pm-late; RMB288 (advance), RMB300 (door); The Orchid, see event listing. Does your kid have a passion for movies? For Chinese New Year, The SLab is opening up a course on editing in iMovie for students ages 12 and above. Not only will students learn the foundational tools of using the video-editing program, but they will also be learning editing techniques on how to best create a coherent storyline. Fri Feb 4-Fri Feb 22; Mon-Fri, 10am-4pm; RMB2888 (includes lunch); The SLab, see event listing. Ireland’s Rhythm of the Dance, which opened a new era of the Irish step dance show with 7 million fans from 50 countries around the world, is coming to Beijing in February. Since 1998, Rhythm of the Dance has consistently awed audiences with their young and talented dancers, musicians and singers. Don’t miss out on the modern live performance of this traditional dance that has captivated the globe. Wed Feb 6-Sun Feb 10, 7.30pm; RMB280-2112; Opera House at the National Center for the Performing Arts (NCPA), see event listing. Buy tickets here. Swan Lake, the world’s most famous ballet, brings a packed group of young performers from Kiev to the stage in Beijing. Since its premiere in Moscow in 1877, Swan Lake has remained one of the most cherished ballet performances by audiences from all around the world with its graceful choreography set to a beautiful score by renowned Russian composer Pyotr Ilyich Tchaikovsky. Sat Feb 9-Sun Feb 10, various times; RMB180-500; Beijing Theater, see event listing. Buy tickets here. Bottega has created a special menu at both locations for all you lovers this Valentine’s Day. Treat your other half to delicacies like grilled baby octopus, sous-vide wagyu filet with mashed potatoes and cheesy heart-shaped pizza with a walnut puree and herbs. And of course, don’t forget dessert – a decadent red velvet cake. Stay tuned for our Valentine's Day event guide. Often called a ‘Queen on the Keyboard,’ Valentina Lisitsa is a world-renowned classical pianist known for her splendid technique and brilliance. After stops in South America, Paris, and Barcelona, the talented performer’s always-topical recital arrives in Beijing for a truly special Valentine’s Day. Irish band Kodaline embarks on an Asia tour and will make their muchanticipated Beijing debut at Tango. The indie rock quartet first formed in 2012 and reached global fame almost immediately for their infectious anthemic pop, which has been compared to pop rock counterparts like Coldplay and Muse. Mon Feb 18, 8pm; RMB450 (presale), RMB520 (door); Tango, see event listing. Buy tickets here. Il Barbiere di Siviglia is a two-act opera recognized as one of the greatest masterpieces by genius composer Rossini, who composed it in just 13 days at the age of 24. Accompanied by powerful music, the humoristic and energetic story will come alive on the stage of the NCPA’s Opera House. Wed Feb 20-Sun Feb 24, 7pm; RMB100-1440; Opera House at the National Center for the Performing Arts (NCPA), see event listing. Buy tickets here. Japanese new wave rockers Lillies and Remains perform at Yue Space at the end of the month. Don’t miss their vibrant hits full of shimmering guitar melodies and profound vocals. Thu Feb 21, 8.30pm; RMB90-120; Yue Space, see event listing. Buy tickets here. The “world’s hottest rock opera,” Mozart, L’Opera Rock is a French musical telling the life of legendary classical music composer Wolfgang Amadeus Mozart. The entertaining musical is full of vibrant costumes and dynamic dances, complete with a mix of original pop-rock music and Mozart’s own compositions. Fri Feb 22-Sun Mar 10, various times; RMB180-1180; Tianqiao Performing Arts Center, see event listing. Buy tickets here. Get ready to throw it way back to the early 2000s – UK pop singer-songwriter Craig David touches down in Beijing at the end of the month. Best known for songs like ‘7 Days,’ the multi Grammy-nominated will perform a repertoire of his modern R&B-influenced pop hits, old and new. Sun Feb 24, 7.30pm; RMB480-880;Beijing Exhibition Center Theatre, see event listing. Buy tickets here. Esteemed American trumpeter and composer Chris Botti is preparing a special night for Beijing audiences this month. Recognized as one of the most innovative figures of the contemporary music world, the Grammy Award-winning jazz superstar is sure to charm his way into your heart with his intimate live performance. Thu Feb 28, 7.30pm; RMB380-980; Beijing Century Theatre, see event listing. Buy tickets here. In this six-section dance drama, China Opera and Dance Drama Theatre retells the story of Confucius wandering from state by state in ancient China in search for a protector, while spreading his long-lasting message of self-perfection and tolerance. If you’re not familiar with, well, the most influential master of Chinese thought, this is sure to be a fun and entertaining way to discover more. Thu Feb 28-Fri Mar 1, 7.30pm; RMB180-300; National Center for the Performing Arts (NCPA), see event listing. Buy tickets here. Founded by singer Qiu Ye, Chinese rock band Zi Yue will perform in Beijing early next month. Translating directly to “Confucius says,” Zi Yue first formed in Beijing in 1994 and since then have left an undeniable impression in the Chinese rock scene. Catch them at Tango for a special performance. Sat Mar 2, 8pm; RMB180 (presale), RMB220 (door), RMB388 (VIP); Tango, see event listing. Buy tickets here. Resident China NCPA Orchestra is getting ready to make a special appearance, guided by the expert hands – and baton – of music director Lü Jia, during which they will perform an exciting repertoire including pieces by Beethoven and Schubert. Sun Mar 3, 7.30pm; RMB80-480; National Center for the Performing Arts (NCPA), see event listing. Buy tickets here. Pebbles Courtyard recently premiered the ultimate al pastor tacos, made from pork grilled authentically on a vertical spit. They’re usually available every Wednesday, though with the Chinese New Year, you’ll have to wait to get your taco fix until the end of the month. And trust us – it’s worth the wait. Enjoy them with Slow Boat brews as a special combo deal. Wednesdays (resuming Feb 20);Pebbles Courtyard, see event listing. Happy hour is just a little happier at Gyu Tetsu. The new Japanese BBQ joint is running a deal that’s hard to refuse: RMB88 for three hours of free-flow Asahi draft beers every night of the week. Daily, 6-9pm; RMB88 (free-flow Asahi); Gyu Tetsu, see event listing. Enjoy a luxurious afternoon tea at The Ritz-Carlton Beijing this Valentine’s Day. The hotel has designed a set menu inspired by fragrance brand Galerie de Parfums featuring sweet treats like strawberry cheesecake with coconut jelly and more savory options like black pepper beef on a cranberry baguette. Daily; RMB499/per two people (includes two glasses of rose wine); The Ritz-Carlton Beijing, Financial Street, see event listing.